You must be in good standing and have successfully completed 26 credit hours at your current law school. Generally, students should rank in the upper third of their class to be considered for transfer admission. The number of credits transferred from your previous law school to William & Mary may vary. Transcripts are individually evaluated and compared to the William & Mary curriculum. Normally, 29 credit hours is the maximum that will be accepted, and only those credits where the grade earned is a "C" or better will transfer. Scholarships funded by the Law School are generally not available to transfer students. Transfer students are urged to explore scholarships from other sources as well as loans if they need financial assistance. *Note: Pursuant to ABA Standards 502(b) and 502(c), current W&M LL.M. students may request a waiver of the requirement that your previous law school be approved by the American Bar Association or be a member of the American Association of Law Schools. If you are a current W&M LL.M. student interested in applying for admission to the J.D. program, contact Associate Dean Ronald H. Rosenberg. We hope to make your transition as easy as possible. Transfer students are encouraged to participate in Moot Court, Trial Teams, journal competitions, and other organizations on campus. 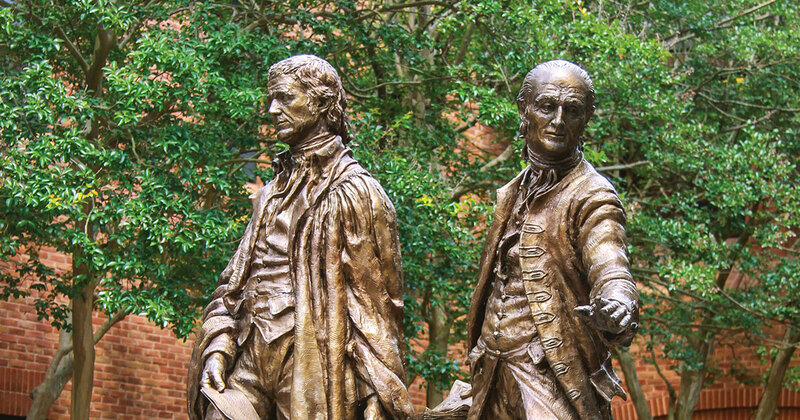 Getting involved will make you feel more at home at William & Mary. We will accept transfer applications between April 1 and June 15 for enrollment in August. Students generally receive admission decisions in July and early August. Applicants should complete and submit the LSAC Electronic Application. Submit a nonrefundable $50 (U.S. dollars) application fee by June 15 through a credit or debit card payment through LSAC. Submit a personal statement including your reason(s) for seeking transfer to William & Mary Law School. Submit at least two letters of recommendation or evaluations by June 15. One should be from a faculty member of your current law school. You may submit letters of recommendation or evaluations with your application or the recommenders may send their letter directly to William & Mary Law School, Admission Office, P.O. Box 8795, Williamsburg, Virginia 23187-8795. Submit a letter of good standing from the dean of your law school, written after grades for the last semester have been posted, stating that you are in good academic standing and unconditionally eligible to return. Arrange to have a copy of your LSAT score and all undergraduate, graduate and law school transcripts sent to William & Mary Law School. The Credential Assembly Service (CAS) subscription fee is valid for five years and individuals can update their file and request a new CAS report without re-registering for the CAS service. Transfer applicants must request updated transcripts with spring semester grades and, if available, class rank. Official transcripts will be required for matriculation. The undergraduate transcript must show degree conferred. Applicants claiming entitlement to in-state educational privileges must complete the Application for Virginia In-State Tuition Privileges, save, and add it as an attachment to the electronic application. If the admission application has already been electronically submitted, applicants applying for Virginia in-state tuition privileges must complete the form found on the University Registrar's website and return to the Registrar by [[domicile,email]], mail, or fax.